Published: Jan. 15, 2012 at 04:15 p.m. Updated: Jan. 15, 2012 at 09:40 p.m.
Rodgers is the winner in probably the most hotly contested category in this, the year of the quarterback. Rodgers gets the nod over Drew Brees because even though he didn't break Marino's record, he got his team the No. 1 seed. The Cardinals pulled one of the blockbusters of the year when they acquired QB Kevin Kolb from the Eagles. But it was Skelton who stole the show, as the Cardinals got on a roll at the end of the season to finish with an 8-8 record. Skelton is looking to eventually land a starring role at some point. Rice wins in a minor upset over Maurice Jones-Drew, who was the NFL's leading rusher. But Rice rushed for 12 touchdowns and was huge out of the backfield as a receiver with 704 yards. Bush was once considered one of the NFL's leading men when he first entered the league, but he quietly assumed a supporting role over the last couple of years. Bush turned in his tour-de-force performance in his first season in Miami, as he topped 1,000 rushing yards for the first time in his career. Johnson might have turned in the best performance ever by a wide receiver. Johnson averaged more than 100-receiving yards and a touchdown this season, and he was nearly unstoppable when the Lions got into the red zone. And to think, he and Matthew Stafford are just getting started. Nelson started the season as one of Rodgers' many options with guys such as Greg Jennings and Jermichael Finley also fighting for receptions. But Jordy rose above the pack (pun intended) to finish second in the league with 15 touchdown receptions to beat out other contenders, such as Victor Cruz and Laurent Robinson. Gronk might have been the best offensive player in 2011, regardless of position. He topped 1,000 receiving yards and scored 18 total touchdowns in easily the best performance by a tight end ever. This relative newcomer stole the show on a dominant defensive line. Pierre-Paul recorded 16.5 sacks, but his most impressive performance came on special teams when he blocked the Cowboys' desperation field goal attempt in Week 14 to seal the win for the Giants. Akers had the worst game of his career at the worst possible time last year with the Eagles, struggling against the Packers in the wild-card round of the playoffs. But Akers is the ultimate redemption story in the NFL, being a key part of the 49ers' resurgence. Harbaugh molded the 49ers into one of the toughest teams in the NFL. This isn't a finesse team like the great 49ers teams of the past; this is a black-and-blue bruising squad that dominated not only the NFC West, but most of the NFC to earn the No. 2 seed in the playoffs. Spikes has never made the playoffs during his distinguished career, and that dubious distinction carried through this year, as the Chargers failed to meet expectations again. But that didn't stop us from acknowledging Spikes for his outstanding career. We might have to rename this award after the fantastic season put together by Newton, who shattered all kinds of expectations. Newton came out blazing against the Cardinals in Week 1 and never slowed down in the best rookie season by any player since Dickerson in 1983. Smith was more than a game manager during the 49ers' 13-3 season. Smith passed for 3,144 yards, along with 17 touchdowns and five interceptions. Jackson showed a lot of promise as a head coach, and it even looked for a time like the Raiders would make the playoffs. But a disastrous end of the season, along with some questionable moves and comments, meant Jackson was out after only one season. No, the Bengals are the winners for ripping off the Raiders in the Carson Palmer trade. The Bengals get a first-round pick this season and another high draft pick the following year for a quarterback they had no intention of ever using. But from the Raiders' point of view, when you have a chance to go 8-8 you have to do it, right? The Lions needed to toughen up their image, but you do that by hitting hard and making it count between the whistles. Nobody benefits from losing their composure afterwards, like Suh did in this regrettable incident on Thanksgiving. You can't blame Suh, though, when he gets that kind of example from his own coach. Schwartz made a fool of himself by chasing after Jim Harbaugh after the Lions fell to the 49ers. The obvious winner here, as Tebow motivated a new generation to start "Tebowing." Everybody from TV personalities to Olympic athletes have been photographed "Tebowing." The Eagles made headlines by adding two dominant cornerbacks to their team, but even that wasn't enough for them to win the division as the meandered their way to an 8-8 record. We already had a winner picked out, but even those teams would concede the match between the 49ers and Saints in the playoffs was one of the better games in recent memory and deserves to take this honor. Davis was an innovator for his many decades in football, serving as assistant coach, head coach, team owner, and AFL commissioner. Few NFL teams have been as iconic, not only in the world of football, but outside of it as well, as the Raiders. 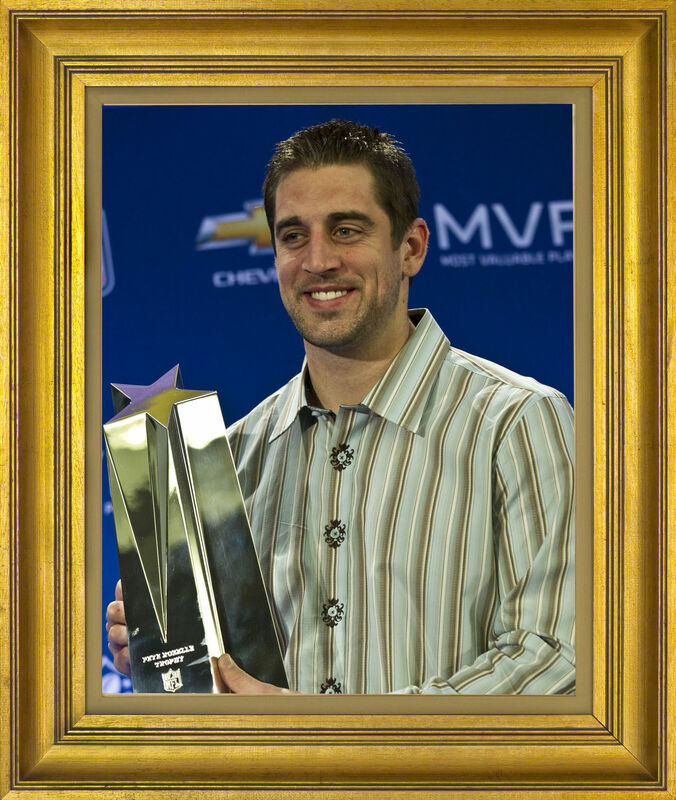 Henceforth, this award will now be known as the Al Davis Award for Outstanding Contributions to the NFL.